deployments of Apache Camel, CXF, ActiveMQ etc easy to deploy and manage. All services were deployed into a Apache Karaf runtime, which allowed for dynamic updates of running services. The modularisation using OSGi had some distinct advantages around the dynamic deployment of new services, and container service discovery, and a consistent way of administration. However, this also meant that Fabric8 was very much tied to the Karaf runtime, and forced anyone using Fabric8 and Camel to use OSGi too. We are now entering a sea-change for immutable infrastructure, microservices and open standardisation around how this is done. 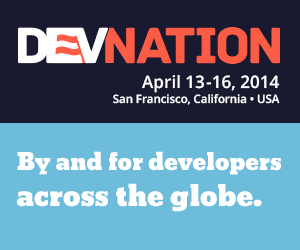 Docker and Kubernetes are central to that change, and are being backed with big investments. Kubernetes in particular, being based on the insurmountable experience that google brings to clustering containers at scale, will drive standardisation across the way containers are deployed and managed. It would be irresponsible for Fabric8 not to embrace this change, but to do it in a way that makes it easy for Fabric8 1.x users to migrate. 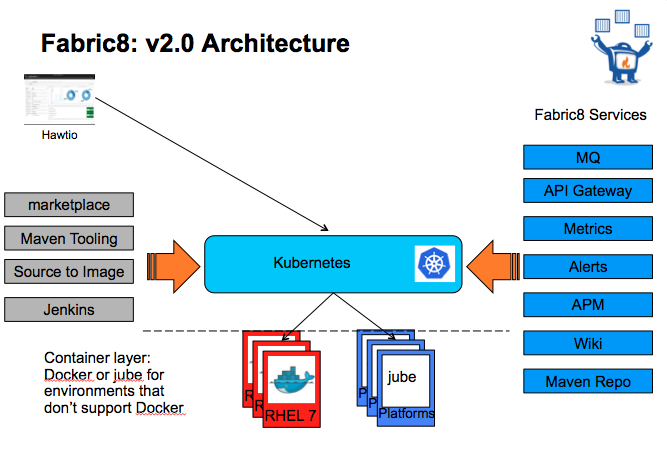 By taking this path, we are ensuring that Fabric8 users will be able to benefit from the rapidly growing ecosystem of vendors and projects that are providing applications and tooling around Docker, but also frees Fabric8 users to be able to move their deployments to any of the growing list of platforms that support Kubernetes. However, we are also aware that there are many reasons users have to want to use a platform that is 100% Java - so we support that too! 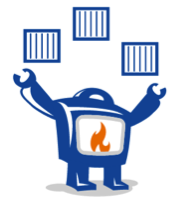 The goal of Fabric8 v2 is to utilise open source, and open standards. To enable the same way of configuring and monitoring services as Fabric8 1.x, but to do it for any Java based service, on any operating system. We also want to future proof the way users work, which is way adopting Kubernetes is so important: you will be able to leverage this style of deployment anywhere. Fabric8 v2 is already better tested, more nimble and more scalable than any previous version we've released, and as Fabric8 will also be adopted as a core service in OpenShift 3, it will hardened at large scale very quickly. Does this mean that Fabric8 no longer supports Karaf ? No - Karaf is one of the many container options we support in Fabric8. You can still deploy your apps in the same way as Fabric8 v1, its just that Fabric8 v2 will scale so much better :). Is ZooKeeper no longer supported ? In Fabric8 v1 - ZooKeeper was used to implement the service registry. This is being replaced by Kubernetes. 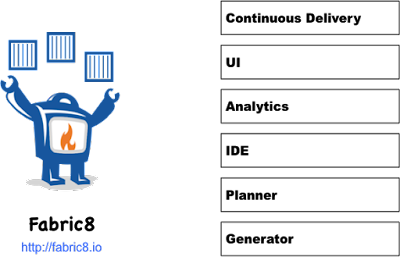 Fabric8 will still run with Zookeeper however, to enable cluster coordination, such as master-slave elections for messaging systems or databases. I've invested a lot of effort in Fabric8 v1 - does all this get thrown away ? Absolutely not. Its will be straightforward to migrate to Fabric8 v2. When should I look to move off Fabric8 v1 ? As soon as possible. There's a marked improvement in features, scalability and manageability. We don't want to use Docker - can we still use Fabric8 v2? Yes - Fabric8 v2 also has a pure Java implementation, where it can still run "java containers"
Our platforms don't support Go - does that preclude us from running Fabric8 v2 ? No - although Kubernetes relies on the Go programming language, we understand that won't be an option for some folks, which is why fabric8 has an optional Java implementation. That way you can still use the same framework and tooling, but it leaves open the option to simply change the implementation at a later date if you require the performance, application density and scalability that running Kubernetes on something like Red Hat's OpenShift or Google's Cloud Platform can give you. Over the next few weeks, the fabric8 community will be extending the quick starts to demonstrate how easy it is to run micro services, as well application containers in Fabric8. You can run Fabric8 on your laptop (using 100% Java if you wish), or your in-house bare metal (again running 100% Java if you wish) or to any PaaS running Kubernetes. One Technology Trend for 2014: "The Internet Of Things"
I was reading some online articles and came across Technology Trends for 2014 - the number one being the 'Internet of Things' or IoT for short. This isn't exactly a new concept, - the promise of smart homes, where everything from intelligent lights to A.I. for washing machines that can be monitored remotely have been around for a while. And how couldn't resist the concept of a smart fridge that can stock itself? The term Internet of Things has been around for over decade, being firstly proposed by Kevin Ashton whilst Auto-ID Center at MIT, primarily driven by an interest in RFID, but the ideas and uses cases for an Internet of Everything has taken a while to mature. The drivers behind the IoT have been several: The demand for renewable energy means that smart grids have to be able to monitor and respond to demand in electricity generation in a more agile manner - allowing for bi-directional energy supply from small energy producers (potentially you and me) - requires smart metering and monitoring. There's the exponential growth of smart phones - more people are always connected, and that trend will continue. 5. The ability to analyse all the data to make sensible decisions in a timely manner. Fast forward to today and we have most of these things from a technology perspective either solved (e.g. IPV6) or the pieces are available, and Red Hat is ideally placed to provide the whole solution for a scalable backend for the IoT - and to do it all on open source software. Firstly, we need the ability to provide a standards based, horizontally scalable solution for handling connectivity to hundreds of thousands of concurrent connections. JBoss A-MQ is combining the best of Apache licensed middleware solutions from Apache ActiveMQ, QPid and HornetQ to form a highly scalable messaging solution that supports MQTT, AMQP, WebSockets and STOMP. The IoT will generate a lot of unstructured data, which needs to be correlated and analysed, and one of the leading NoSQL solutions for doing this is Hadoop. If you want Hadoop to scale and perform, then bester infrastructure to run it on is a combination of GlusterFS and OpenStack. Getting real time data into Hadoop's HDFS can be problematic, but JBoss Fuse already has some of the best solutions for doing just that. Finally, if you want to use complex event processing, to make decisions based on the flow of data from your connected devices based on causality and temporal logic, then JBoss BRMS is the best open source solution on the market. Red Hat is going to be right at the centre of IoT solutions in 2014.